Ahh– Valentine’s Day. 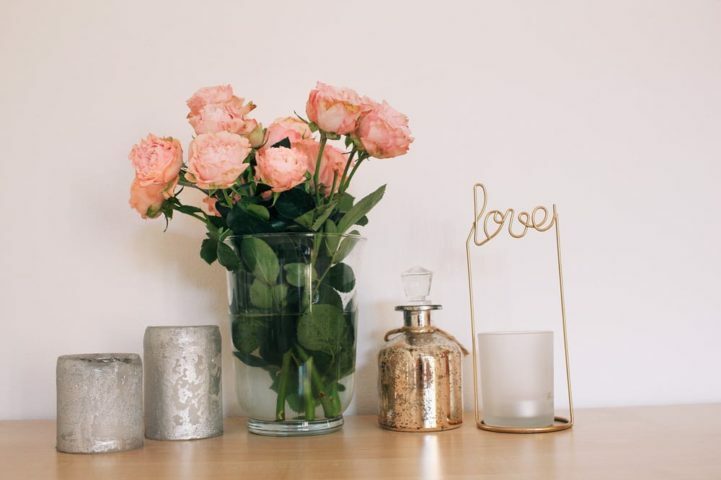 Love is in the air this month and as we prepare for another holiday of love, there are many ways we can spruce up our living space to be romantic as well. Whether you’re planning for a night in or just wanting a type of feel in your home all month long, check out these six easy ways you can make your home more romantic for February 14th. Nothing spells romantic with some lit candles to set the mood. You could even use wall plug-ins, aromatherapy, or pillow mists to add a nice scent into the atmosphere. If you chose to use candles, don’t forget to put them out at the end of the evening and keep them away from flammable materials! The lighting in your home can make a huge difference in the mood. Instead of switching on your ceiling lights, consider using side lamps or candles instead. Although roses can easily make any space lovey-dovey, you could also consider their favorite flowers too. If you’re planning on surprising them, you could leave a trail of rose petals (or other flower petals) to the bedroom or bath for that charming touch. Express your feelings for the ones you love by adding that personal touch to your home. Place picture frames or sentimental items around the house that have a significant value in your relationship. You could even leave a handwritten card for them to read on their nightstand or their favorite cookies on the kitchen counter with a special note. Take the time to declutter your home. The last thing you want is unnecessary items, food, and junk lying around for others to see. Remember to put away your laundry and dispose of any waste that could add a foul smell to the house. Set the ambiance with some romantic tunes in the background. If you and your partner share the same music choice, you could put together a playlist of all your favorite songs to play throughout the evening.